HRC merchandiseHouse Rabbit Connection, Inc.
Indulge the shopper in you! It’s for a good cause (the bunnies’ favorite cause, actually — them). We offer convenience of online sign up or our address, P.O. Box 21, Springfield MA 01101, for mailing your check or money order. 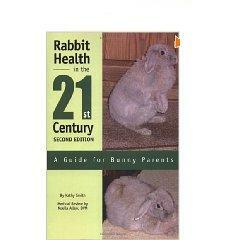 Great for new rabbit owners (with worthwhile tips for the seasoned caregivers, too). See our booklet available on line on our website. 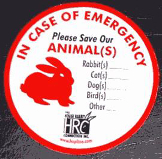 The House Rabbit Handbookcoined the term “house rabbit” and continues at the forefront of rabbit care and appreciation. Packed with the collective wisdom of bunny-lovers and charming, candid photos of their pets, this fourth edition keeps pace with a more knowledgeable and demanding readership. This revision includes updated health-care and dietary information, accompanied by diagrams and photo illustrations, and chapters on understanding rabbit language, choosing a rabbit, and safety issues. A new section includes revised recommendations for rabbit space and how to creatively integrate it with human space. litter box training, bunny proofing, lifting and handling, grooming and bonding; behavior insights from expert caregivers; dealing with elderly, special-needs, and disabled bunnies; and much more. 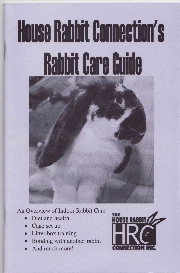 This user-friendly book on pet rabbit health from a caretaker’s perspective is written for people with little or no medical or veterinary background. Its goal is to help rabbit owners play a more active, informed role in their rabbit’s health care decisions. It should never substitute for a trip to the veterinarian! Kathy Smith combines 20 years of pharmaceutical industry experience with her passion for rabbits to offer a unique perspective on rabbit health aimed at the average pet owner. Rabbits: Gentle Hearts, Valiant Spirits has been named as Finalist in the 2008 Benjamin Franklin Awards, Best New Voice (Nonfiction) category, from PMA, the Independent Book Publishers Association. Marie Mead has authored twenty uplifting stories based on actual events. 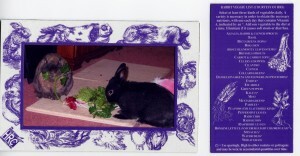 Many of the stories are about rabbits originally rescued by the House Rabbit Society, Best Friends Animal Society, Brambley Hedge Rabbit Rescue, or the Rabbit Sanctuary. Despite the fact that most of the stories begin with rescues from traumatic situations, the happy endings of these true accounts will leave readers inspired. The pieces emphasize rabbits resilient nature and how their personalities flourish when coupled with compassionate human care. Marie Mead’s love of animals and respect for nature have shaped her life, spurring her interest in ecology, animal ethics, and alternative healing. For more than twenty years, she has been involved in various capacities with animal rescue, advocacy, and education. Within the last decade, Marie has become expert in the hands-on care of rabbits and has shared this knowledge through consultations and writing. Clicking with Your Rabbit is a definitive guide to caring for your bunny, teaching him or her safe interaction, amazing tricks and even useful behaviors like coming to you when called by name! Bunnies are wonderful pets when you know how to bring out their bunny best! You don’t have to be a magician to have your bunny love you. 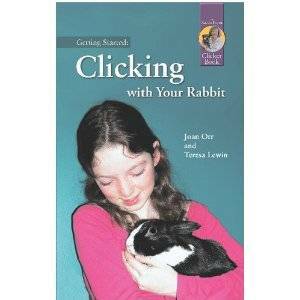 All you need is Clicking with Your Rabbit!